The Panorama Route is a popular South African destination. We include this scenic drive in our tailor-made trips when itineraries include a safari in the private game reserves surrounding the nearby Kruger National Park. The route offers many beautiful views, quirky towns, interesting history, geologic wonders and spectacular waterfalls. Here are our top five views on South Africa’s Panorama Route. Although God’s Window is probably the most famous view on the Panorama Route and is without a doubt a stunning view, we prefer the Lowfeld View. It is most often less crowded and offers a gorgeous outlook onto the vast subtropical savanna that stretches across the Kruger National Park and onwards into Mozambique. It has been explored by fortune-seekers, hunters, gold-diggers and adventurers, but these days the lowveld’s claim to fame is its proximity to the Kruger National Park and the adjacent private game reserves. This picture pretty much speaks for itself since these rock formations resemble a rondawel or traditional African mud hut. 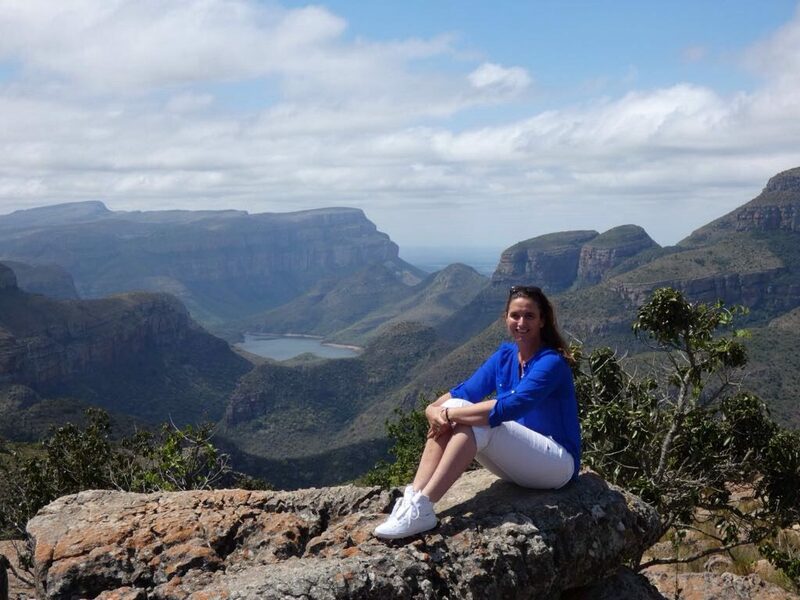 Epic Africa leisure travel specialist Yvonne van Tol is definitely enjoying the views on her trip along South Africa’s Panorama Route! This 80 m waterfall was named after the German capital by German miners who came to South Africa’s during the 19th century gold rush. The miners named many of the waterfalls in the region after their home towns or places of interest in Germany. The Berlin falls were proclaimed a South African national monument in 1983. We enjoyed chatting to the curio sellers and shopping for handmade arts and crafts made locally, including wooden bowls and beautiful cloths. 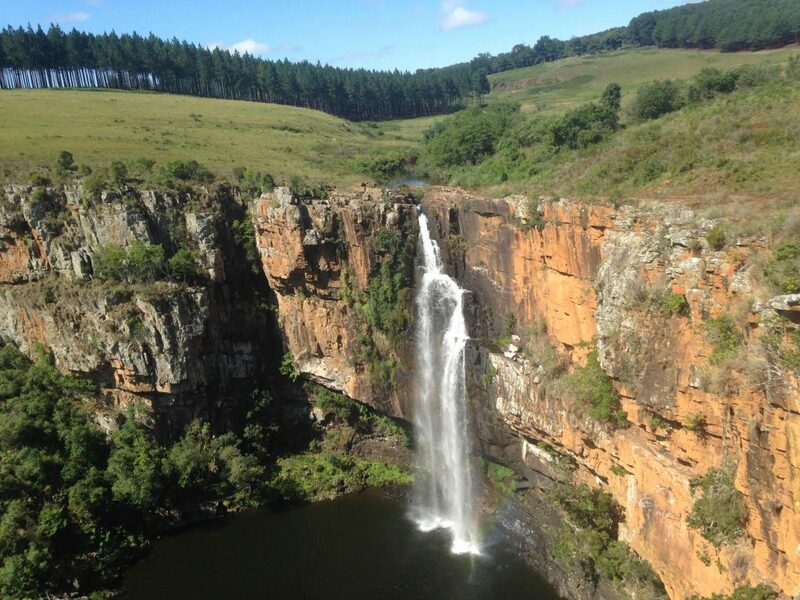 Interesting Fact: South Africa has the most waterfalls of any country on the African continent! The Bourkes Luck Potholes are an interesting natural feature at the confluence of the Blyde and Treur rivers. The cylindrical potholes are formed by the water eroding the red sandstone. There is an entry fee charged to view the river from the bridges and walkways. It is an easy walk and a scenic stop. There are options to buy basic food and drinks. 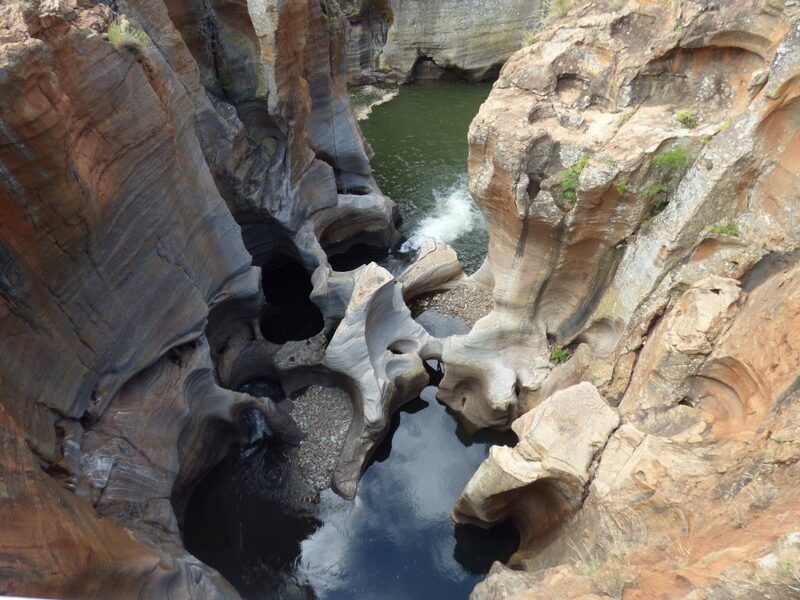 The Bourkes Luck Potholes are part of the Blyde River Canyon, officially called the Motlatse Canyon, which is second largest canyon in Africa, after the Fish River Canyon in Namibia. The canyon is 25 kilometres (16 m) in length and around 750 metres (2,461 ft) deep (on average). 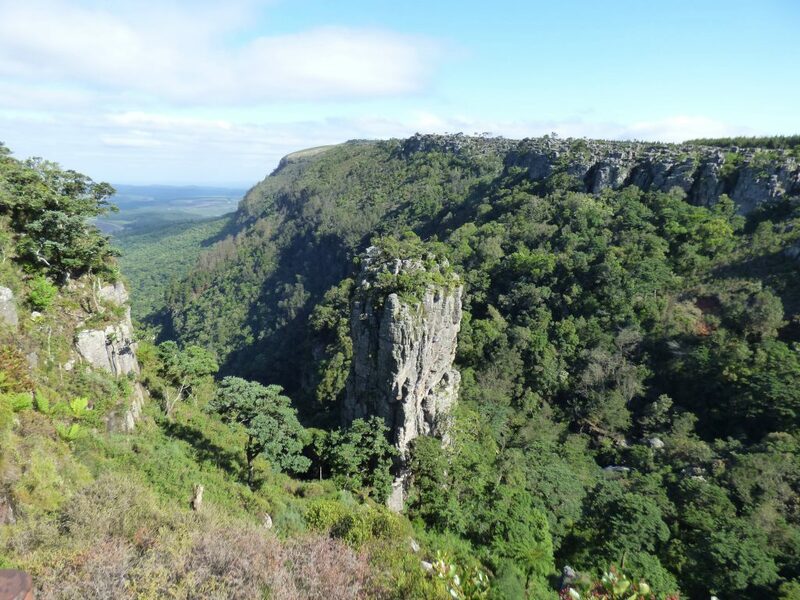 The Pinnacle Rock is a 30 m high freestanding quartzite rock that stands proudly above the indigenous forest of Driekop gorge about five kilometres from the quirky village of Graskop. If you visit during the peak safari season (June-September) you may see the beautiful orange and red aloe in flower and the many birds that feed on the nectar. We can highly recommend Ashbourne Country Escape as a base to explore the Panorama Route. We can also recommend other fabulous accommodation – and of course a safari in the nearby Greater Kruger Wilderness area. Contact us on hello@epicafricatravel.co.za if you would like to include the Panorama Route in your South African adventure.